There is something romantic about having a cold beer in the tropics. 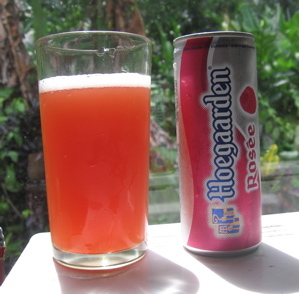 It was hard to put my finger on at first---the beer is not particularly good, most of it isn't particularly famous, and it's something beyond the "tropical paradise" cliché that folks seem so hung up on. I finally got it: the sweat on the bottle. Leave a beer out in the humid heat for a minute here and its frosty surface is glistening with so much icy condensation that I feel like I'm in the middle of a Budweiser commercial. 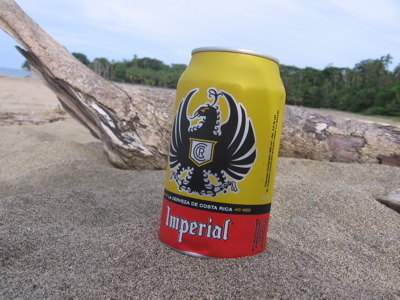 This week's beer review is on Costa Rica's iconic brew, Imperial. 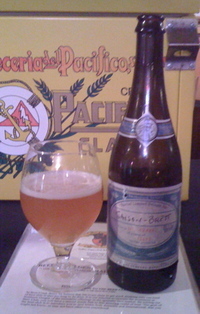 A domestic lager suitable for comparison with Budweiser or Coors, it is a pale, straw yellow with a thin white head and fine effervescence. The flavor is not remarkable. It tastes a little like corn syrup that's been fermented dry, with some sweetness and no detectable hops. It is, however, almost as thirst-quenching as water, and at just 4.6% ABV, one can drink nearly as much of it. If you are going to stick with a light beer down here, you might be able to do worse than Imperial. In fact, check back next Friday and I'll see if I can find something for you. 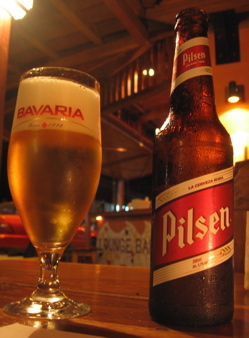 The beer situation in the Limón province of Costa Rica is a dire one, as Vera wrote the other day. I believe the two largest are Heineken and Cerveceria Costa Rica, the latter being a huge state-owned monolith that produces such classics as Imperial and Pilsen. 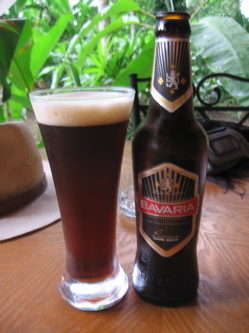 Today we are going to take a look at one of Cerveceria Costa Rica's premium beers, Bavaria Premium Dark. This lager is, I believe, a German-style dunkel, and actually comes pretty close to matching the style. It is rather light-bodied, but heavier than the other domestic offerings. It pours a nice ruby-tinged chocolate brown, pleasingly translucent, with a good creamy head that actually sticks around for a while. Of the Costa Rican beers I've tried so far, it actually has the most pleasing appearance and nose when poured into a glass. Bavaria Premium Dark does carry a nice dose of roasted, dark malt flavor, though it lacks some of the pleasing German yeast flavors I usually look for in a dunkel. And frankly, though I would quickly pick this beer over Spaten Dunkel, I cannot honestly say it will go in my list of top dark lagers. If you find yourself in Costa Rica, you owe it to yourself to try this beer. But otherwise, avoid it and head for an authentic German or German-style dunkel with heavier flavor and heartier body. I've been tipping back pints of Southern Oregon Brewing Co.'s Le Freaqué Cascadian Dark Ale rather religiously for the past month or so, and I keep finding myself espousing its excellence to curious beer drinkers around me. It's probably time I wrote about it here. When I wrote about our brewery trip last month, I mentioned the KLCC collaboration brews that several Oregon breweries created. Le Freaqué is a product of that collaboration, and it's not your average CDA. It's brewed with a good measure of rye and partially with a Belgian yeast strain, giving it a remarkable depth and complexity. Some might say that there's too much going on in this beer, but I think it all comes together in such a dance across the palate that I am always surprised it's only $4 a pint. It pours an opaque black with a tan head and mediocre lacing. On the nose are aromas of coffee, flowery hops, and Belgian yeast. 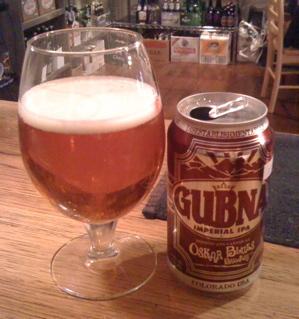 The beer is wonderfully malty, with burnt flavors, strong hops, and delicious fruity esters throughout. I'm going to be very, very sad when this beer runs out, and can only hope that the excellent folks at SOB plan to make it a regular brew. I was fortunate to receive a bottle of Hopworks Urban Brewery's relatively new Secession Black IPA. Now, I don't want to talk too much about the hubbub surrounding the name of this style, but H.U.B. makes a clever nod to the Casdadian Dark Ale camp with a nice map of Cascadia on the bottle. Secession pours a lovely black with hints of ruby when held up to the light. The head is thick, tan, and displays excellent retention and very nice lacing. Its floral, grassy, hoppy nose also contains a few fruity yeast notes, and promises a tasty draught. Black IPA (or IDA or CDA or what-have-you) is swiftly becoming one of my favorite styles, and this beer is a great example of it. Chocolate and coffee play seesaw with piney, citrusy hops, and it is an enjoyable balance. Lurking in the back are some ester flavors from the yeast that add a wonderful finishing touch to this great beer. 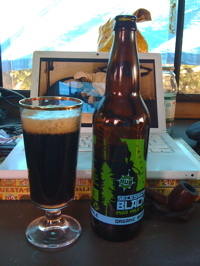 I would strongly recommend the Secession Black IPA for those interested in this emerging style, and would certainly suggest having one with a cigar, a heavy, spicy meal, or just an afternoon in the sun. Continue reading Boulevard's Smokestack Series. Down at Elements I was happy to find Firestone Walker Double Barrel Ale on tap. This is a great English-style ale from a very interesting brewery that recently won the World Beer Cup for the third time. They are, it seems, the overachievers of the beer world at the moment, and for that, I praise the beer gods. Unlike so many other breweries, they have not been putting forth gigantic hop bombs and sugary extreme beers (their website, for instance, calls 38 IBUs "medium-high"), but instead produce a line of really excellent pale ales. Those I have tried are all wonderfully drinkable, pair great with bar food, and make me long for a second pint. 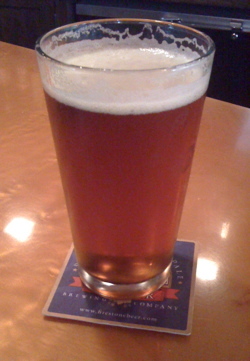 The DBA pours an unassuming amber-brown with a pale, whitish head. There was not a lot of retention, as you can see in the photo, but there was some very nice lacing. It has a clean, faint aroma that just barely hints at its 32 IBUs worth of hops, and promises a mellow, malty happiness to the eager palate. Indeed, this beer has a nice, sturdy body with notes of hazelnut and a malty smoothness that work well together and do not overwhelm the palate. There is a slight fruity flavor accompanying very mellow hops and a tiny amount of dryness. Overall, it is a well-balanced, highly drinkable beer that made me yearn both for fish and chips and a second pint. This is a great beer to pair with brisk spring days, a bushy moustache, or spinning fantastic yarns to your pals. Highly recommended! This page is an archive of recent entries in the Beer and Wine category. Chocolate is the next category.